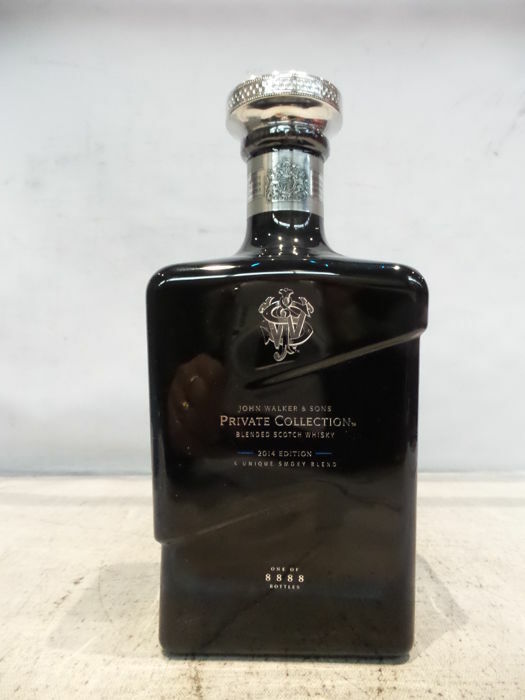 The John Walker & Sons Private Cllection is to be limited annual release for the renowned brand. 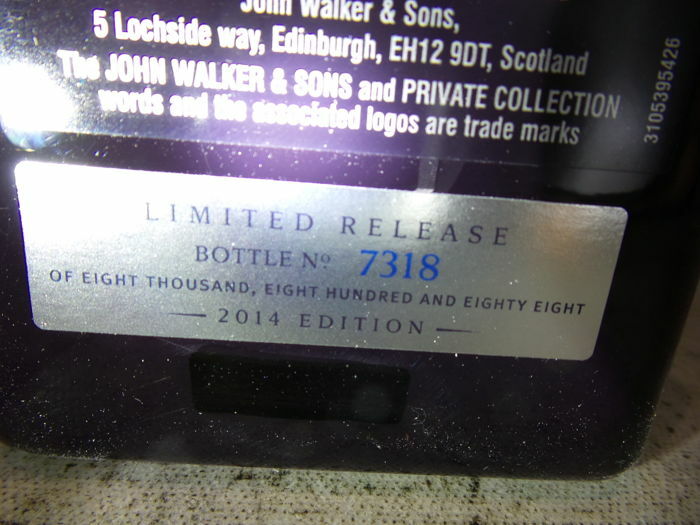 The first edition, released in 2014, wears its intentions on its sleeve, with "A Unique Smoky Blend" being written right on the stylish bottle. 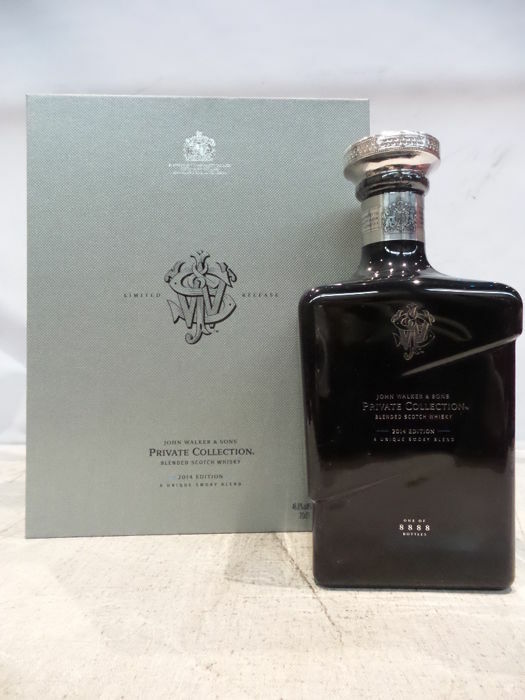 Expertly blended around a core of rich, sweet and smokey notes. 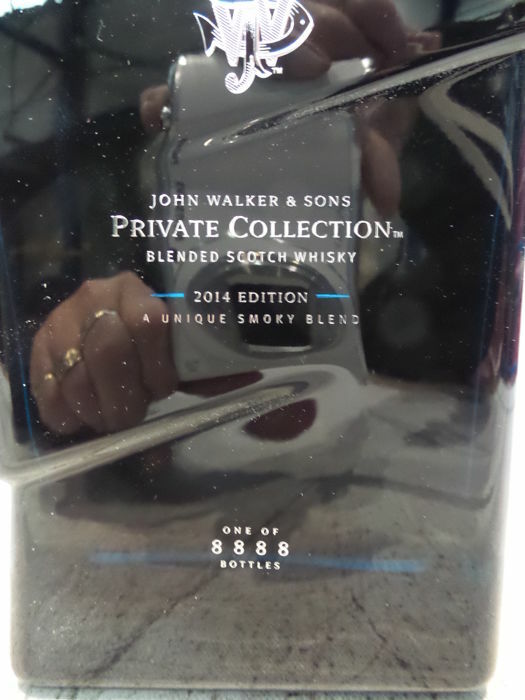 The 2014 Private Collection release is an excellent start to the new Johnnie Walker Range. 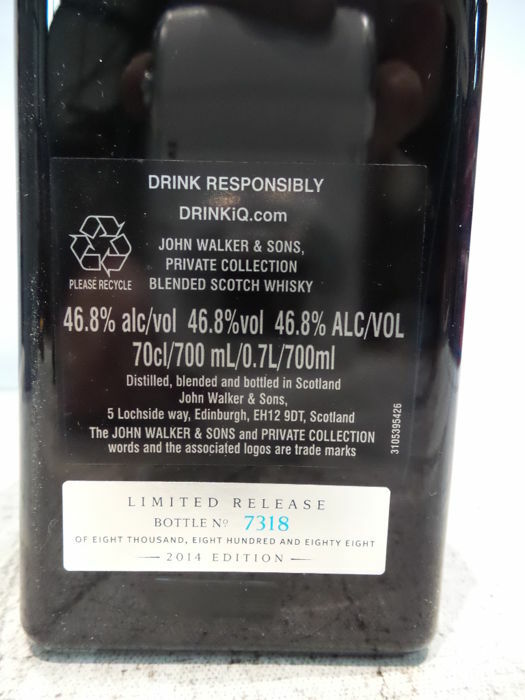 A small damage on the bottom of the bottle as you can see on picture 5. 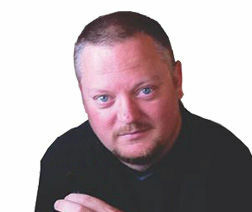 Whisky is snel bezorgd en in goede orde ontvangen. U kunt dit kavel ook ophalen bij de verkoper: Steenbergen (Noord Brababnt), Nederland.